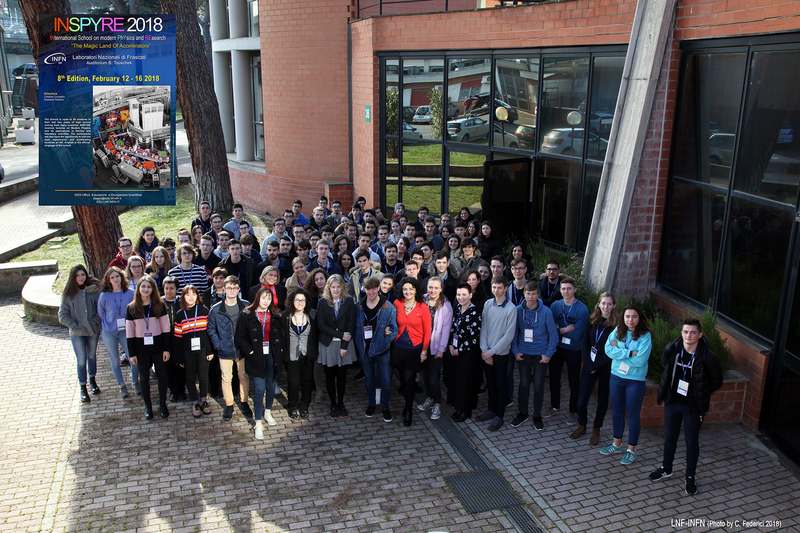 INSPYRE – INternational School on modern PhYsics and Research “The MagicLand of Accelerators” is dedicated to accelerators and to their use in physics and for society. Accelerators were initially developed as instruments to investigate the atomic and particle world and the laws governing it. They contributed greatly to shape the Standard Model of particle physics and to the understanding of the Universe and its evolution. Particle accelerators became very useful also for society since they are successfully explored to treat tumors, for non-destructive analysis of masterpieces of art heritage, or in archaeology. 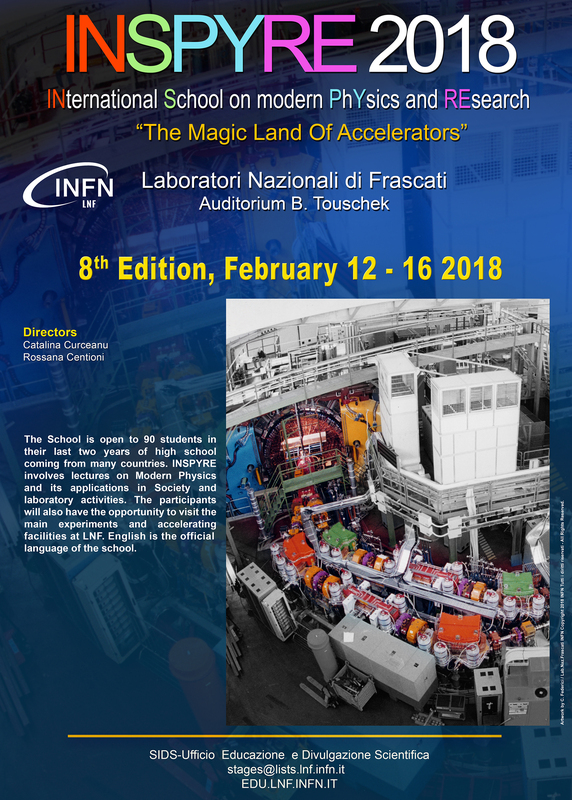 We shall present the concepts at the basis of accelerators’ functioning and discuss modern accelerators used in advanced physics experiments, such as DAFNE in Frascati or LHC at CERN (Geneva) which delivered the Higgs boson. We’ll see how the Universe is the most powerful accelerator and which are the phenomena resulting from its enormous power. We’ll also present the accelerators of tomorrow – what about a Large Hadron Collider miniaturized as a table top accelerator? Let yourself be INSPYRED and you will be involved in a series of modern physics experiments with our researchers. The School is open to about 90 students in their last two years of high school coming from many countries. INSPYRE involves lectures on Modern Physics and its applications in Society and laboratory activities. The participants will also have the opportunity to visit the main experiments and accelerating facilities at LNF. English is the official language of the school. The activity is free of charge; however, participants should provide for travel, accommodation and dinner expenses (lunch is offered at the canteen by LNF). In order to participate, high-schools should apply filling this FORM – selecting the button “INSPYRE”. Application deadline is November 10. Because of the high number of applications, only 2 students will be accepted per school and selection will work on a first come first served basis. We are looking forward to INSPYRE you in the MagicLand of Accelerators ! 18:00 – 19:00 INSPYRE 2018 Happy Hour! Hotel reservations (multiple rooms; private toilet; 37 euros per night, per person;) are confirmed directly from our office to the hotel: Hotel Villa Mercede. Students will attend the Labs during office hours in agreement with the LNF tutors. The presence will be checked by the LNF Vigilance in entrance and exit. Please, make sure you read our Emergency Procedures.